Chelsea Outsmarted, Begovic’s Misery And Manchester United Boss Jose Mourinho’s Comeback As The Special One? 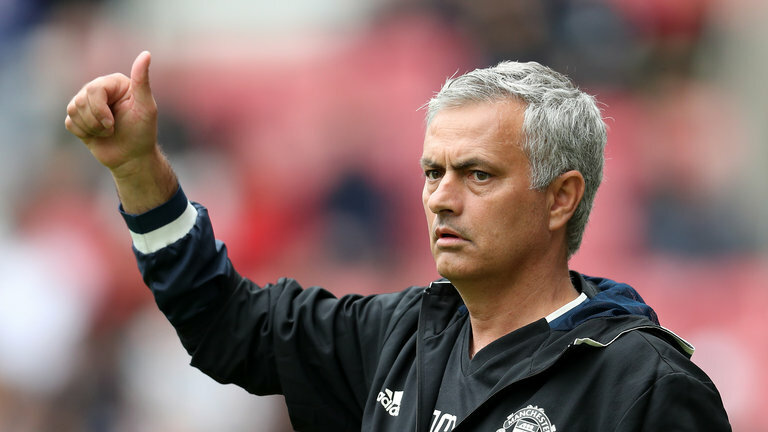 The former Chelsea manager was at his managerial best at Old Trafford as Manchester United overcame the table-toppers in a 2-0 victory on Sunday. Goals from Marcus Rashford and Ander Herrera saw the Red Devils earn three points over their fierce rivals. United started the game without top scorer Zlatan Ibrahimovic, who was described as very tired by Jose Mourinho, but Rashford opened the scoring with only seven minutes on the clock. It was a controversial goal as the ball seemed to have struck Ander Herrera’s hand in the build-up. However, the Spanish midfielder set up an inch perfect through-ball for Rashford and the striker did the rest to give the home side a 1-0 advantage after racing past David Luiz. Chelsea started with Asmir Begovic in goal due to the unavailability of Thibaut Courtois and also lost Marcos Alonso as he was unwell as Kurt Zouma took his place in the side. And the Blues failed to register even one shot on target as Mourinho’s defensive tactics were spot-on. The London side were extremely frustrated and United looked to capitalize as Ashley Young found himself in good positions on several occasions but was unable to fins the target with any of his attempts. Chelsea’s first real attempt came in stoppage time in the first half when striker Diego Costa’s shot was wide from the post. Costa tried to make a nuisance of himself but was well marshaled by Bailly, Rojo and Pogba as United stood firm and solid at the back. Just four minutes into the second half United doubled their lead as Ander Herrera’s deflected effort put them further in control of the game. Young dispossessed Kante inside the Chelsea box and fed a pass to Herrera as the assist provider then turned scorer. United almost added a third when Jese Lingard hit the side netting from Michael Carrick’s pass as Chelsea brought on Fabregas and Willian to change things. However, it was too late but Rashford almost got his second after tussling with Luiz only for Begovic to make a stop at his near post. The loss against United blew the title race wide open with Tottenham just four points behind leaders Chelsea and also brought in United closer to finishing in the top 4.